Counter-Strike Global Offensive > Liquid new king of second place? You just realized liquid comes in second place? Where have you been men? Ever heard of the Liquid Choke? Since that is literally the reason why they only ever get second place. Used to be the same for Astralis/TSM kinda. They couldn’t make finals, always semis. Now look at them. Always believe. Astralis won’t be at DH Masters Dallas or IEM Sydney so that is their best shot before EPL Finals and ECS Finals. We’ve seen what seems to happen when astralis isn’t there though. They seem to choke even more. I guess because they feel like they should win. They are still going to find a way to lose, smh. and nip? 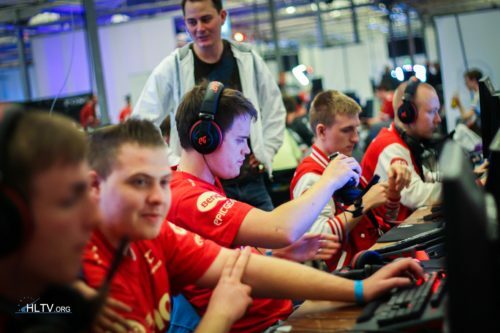 nip in 2015 lost every single final on a LAN tournament.. they only won 1 event that year , and was with maikelele liquipedia.net/counterstrike/Ninjas_in_P.. They lost 7 finals that year.. They have never won a T1 event. 2nd place but overall 1st on the blast tour. If liquid get 2nd at all the blast events but get first overall in points of all blast events who is the champion??? The team that got 1-2 wins but also 4th 5th or 6th or the team that finished 2nd every event???? What are the points standings for??? Didn’t blast announce a last event worth like 500k or something????? What does the team who has the highest points in blast get at the end of all the blast events?? ?